Summer 2015 is the third year of flowering in the Lost & Found Garden Meadow and what a spectacular flowering it is, much more diversity than last year. 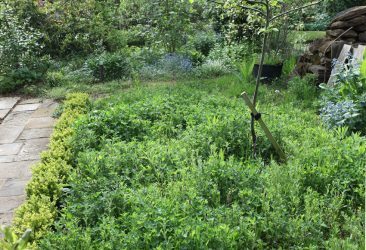 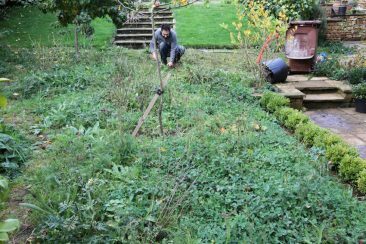 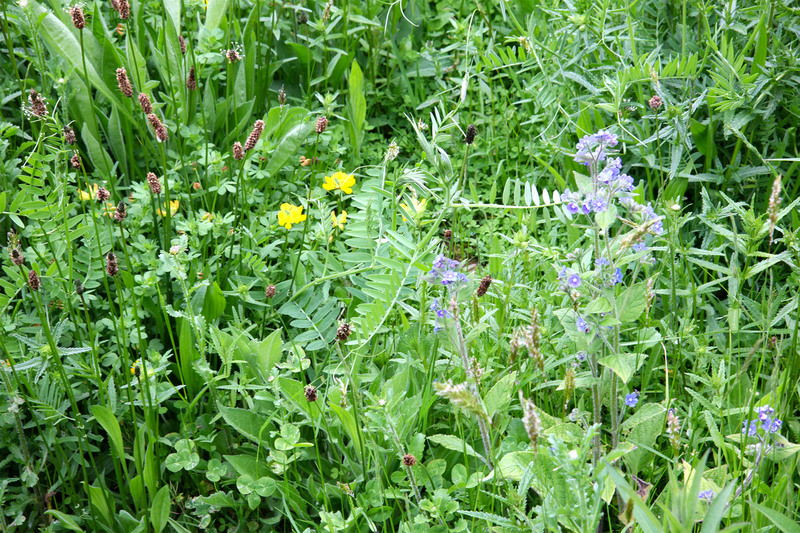 This project is an experiment to determine how effective the introduction of small plots of wildflowers are at increasing numbers of pollinators – particularly bumblebees – in a domestic garden. 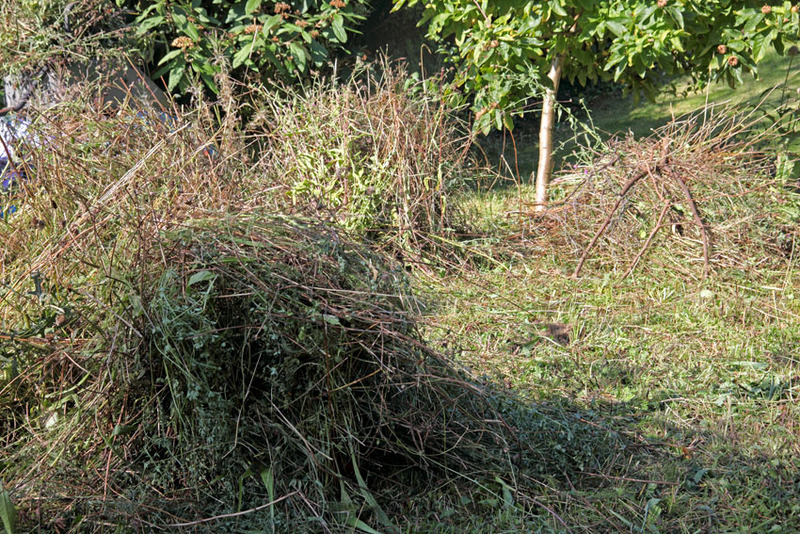 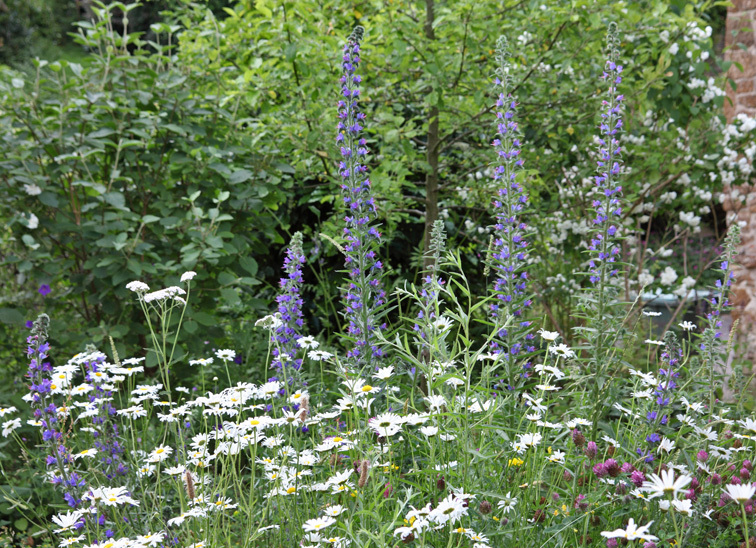 We also wanted to determine the most suitable plant species and best management routines for a domestic setting. 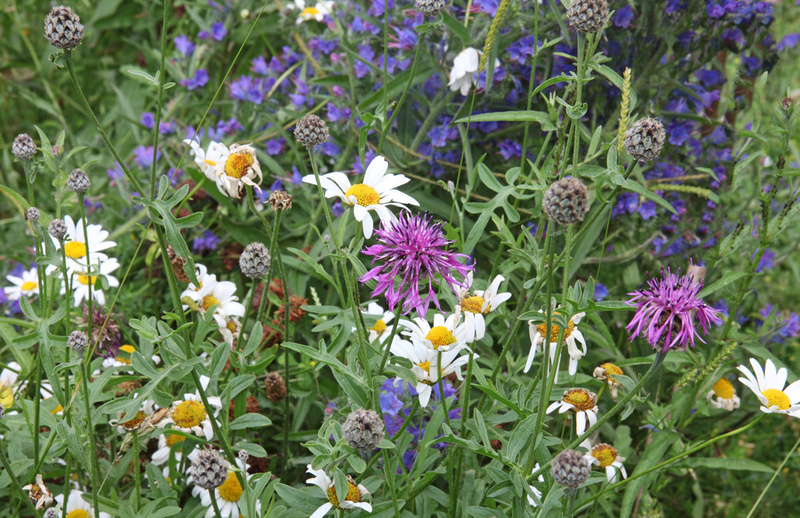 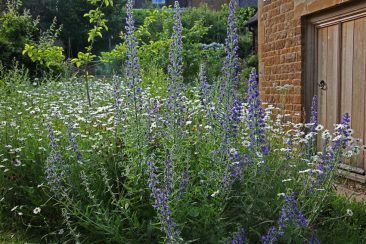 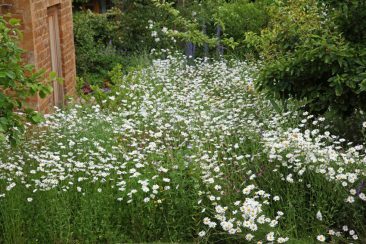 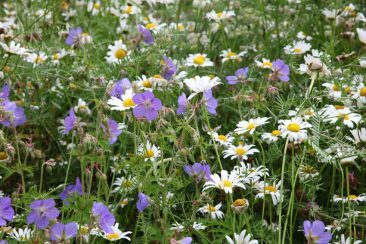 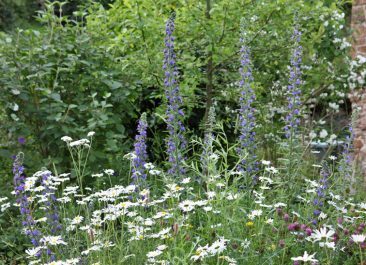 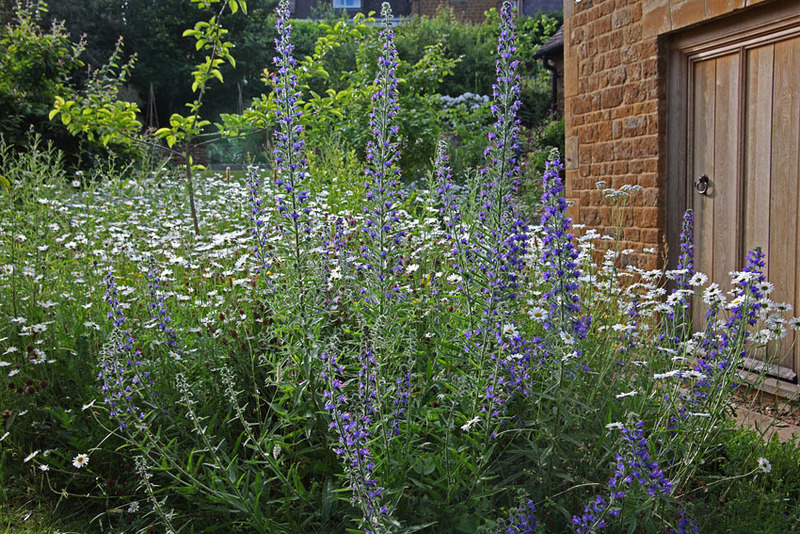 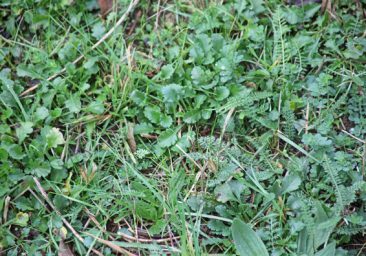 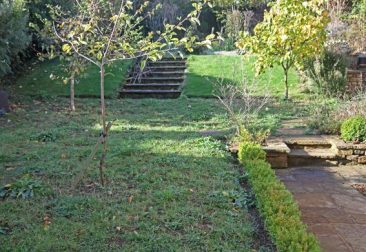 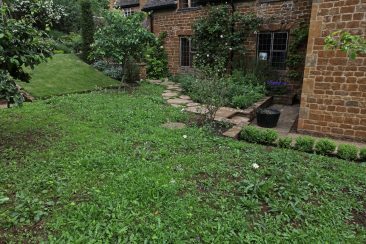 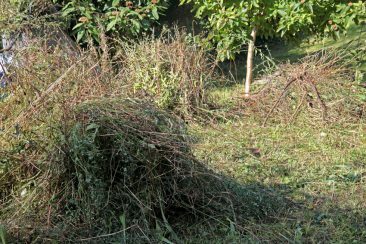 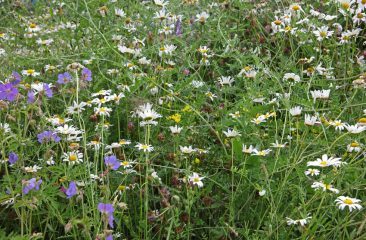 We had already grown several of the wild species on the site and were fairly confident that the perennial mix we chose would succeed. 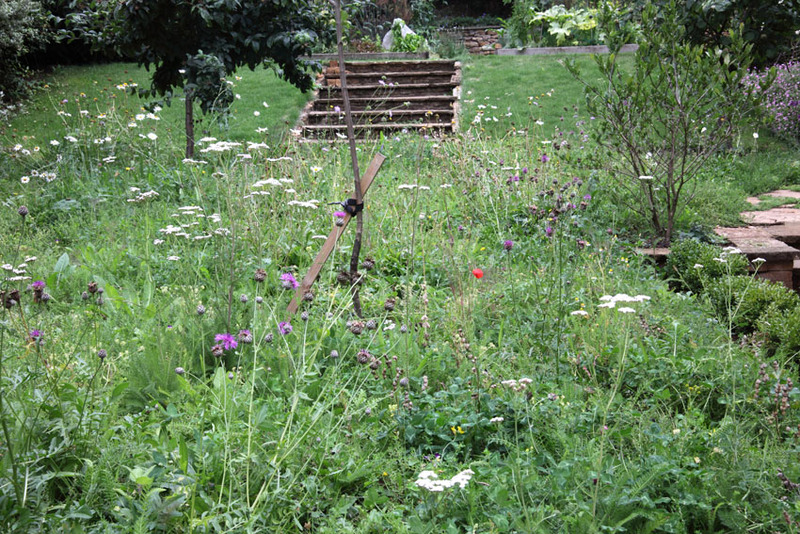 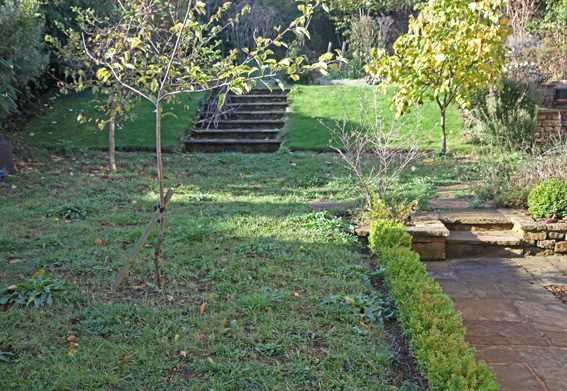 The plot is a 40 meter square patch of rough grass where 3 fruit trees were planted a few years earlier. 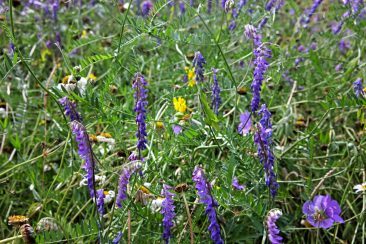 Prof. Dave Goulson and Lorna M Blackmore have published some excellent research that shows that increasing the number of wildflowers in plots of grassland by 25 times can result in 50 times more bumblebees and 13 times more hoverflies – compared to control plots without an abundance of flowers. 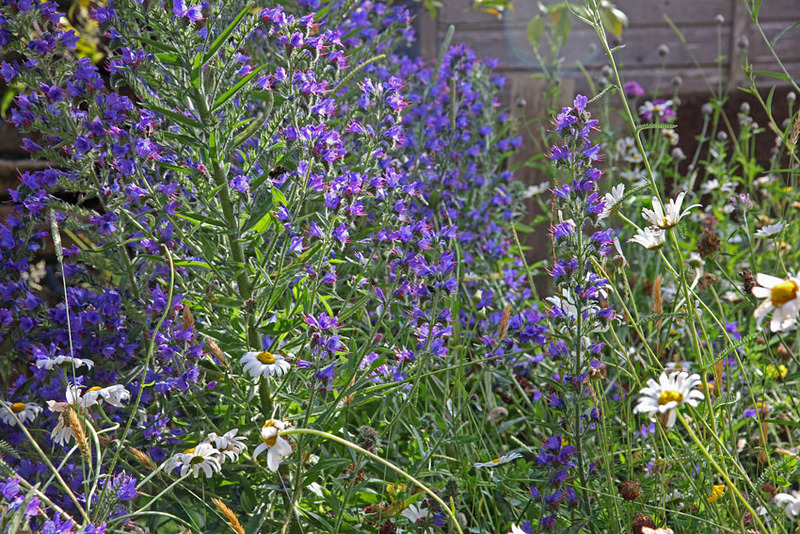 Ours is by no means a rigorous scientific experiment but we definitely attracted far more bumblebees to the garden. 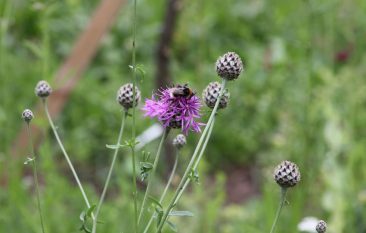 We’re novice recorders but we think we clocked at least 6 species: Buff-tailed bumblebee, Common carder bumblebee, Early bumblebee, Forest cuckoo bumblebee, Red-tailed bumble bee, White-tailed bumblebee. 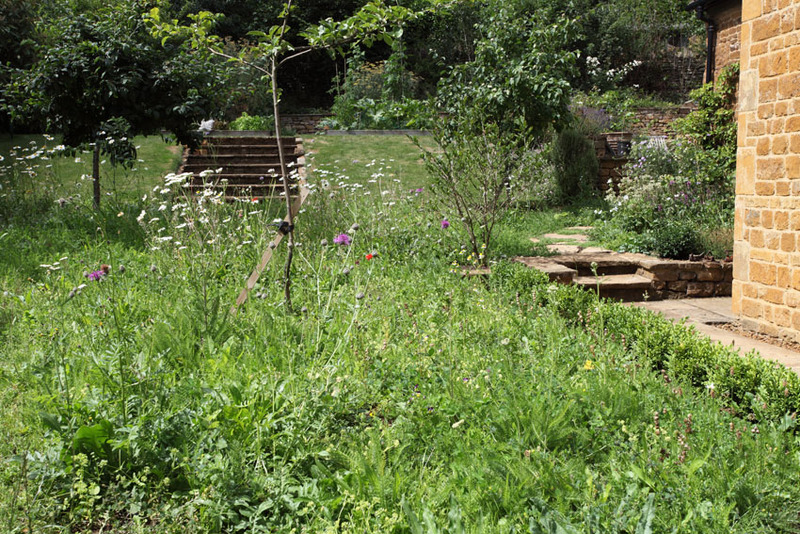 In a garden setting this type of planting is extremely low maintenance and the wow-factor incredible. 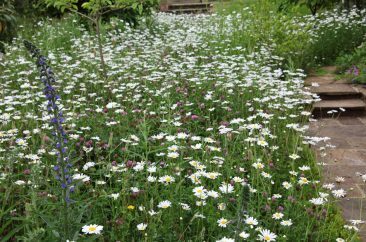 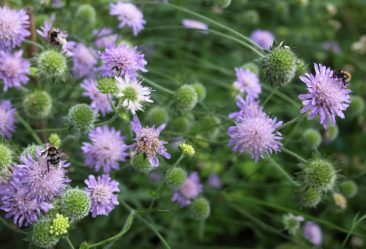 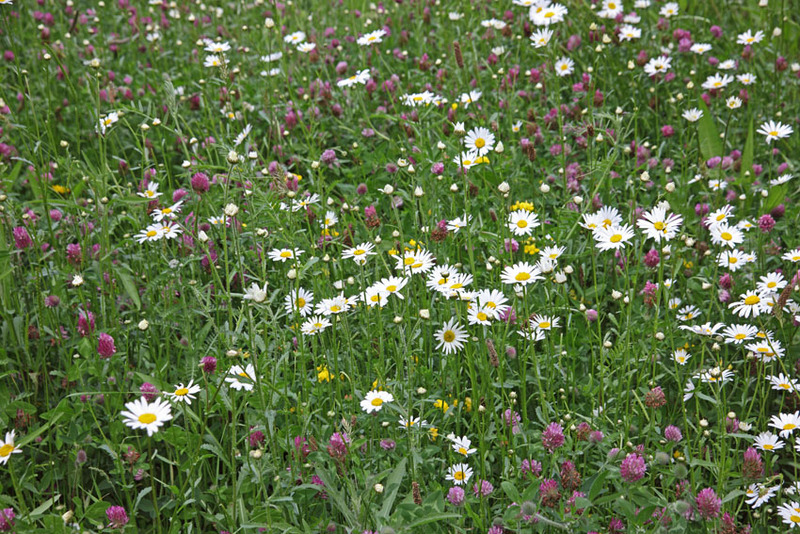 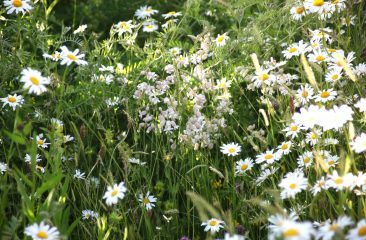 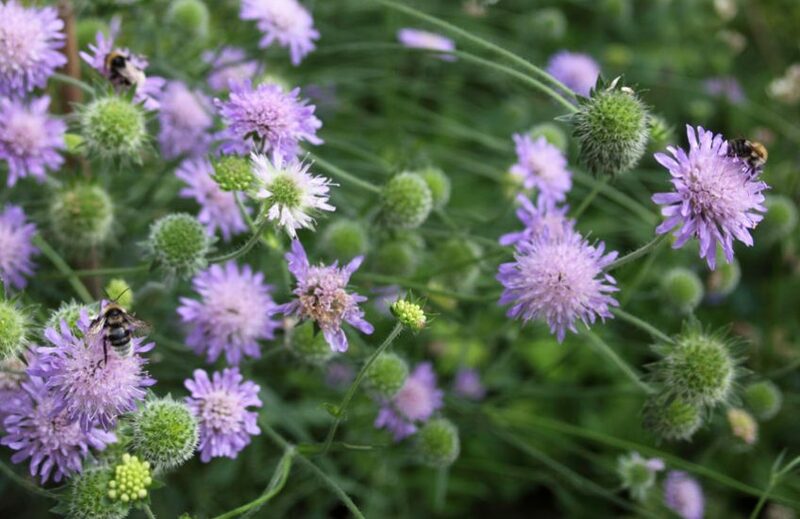 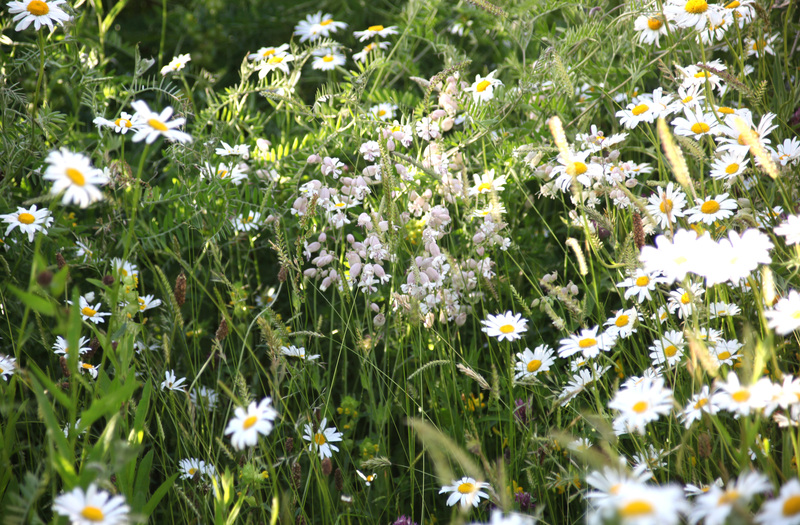 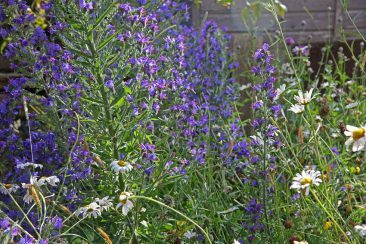 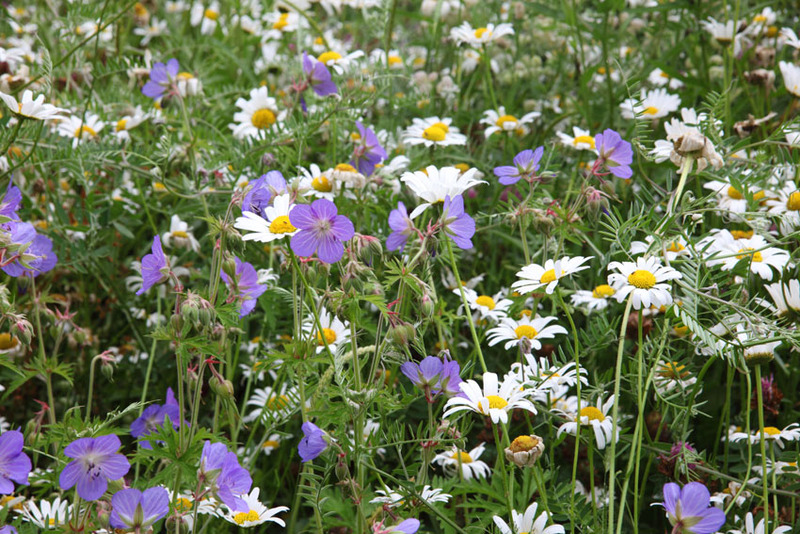 If a mini-meadow isn’t possible, Prof. Goulson has a comprehensive list of flowers that are guaranteed to attract bumblebees to the garden on his website – with a star rating of how effective they are. In 2006 Dave founded the Bumblebee Conservation Trust, see more about the plight of bees and how we can help them on their website here …. 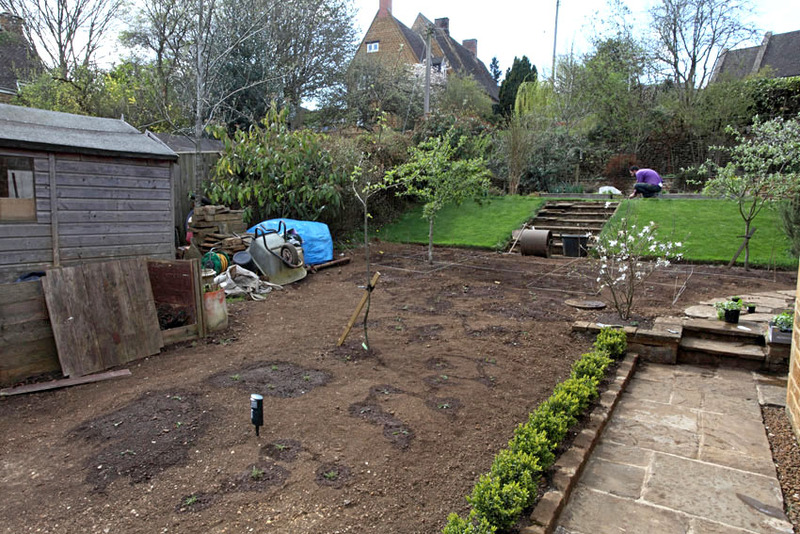 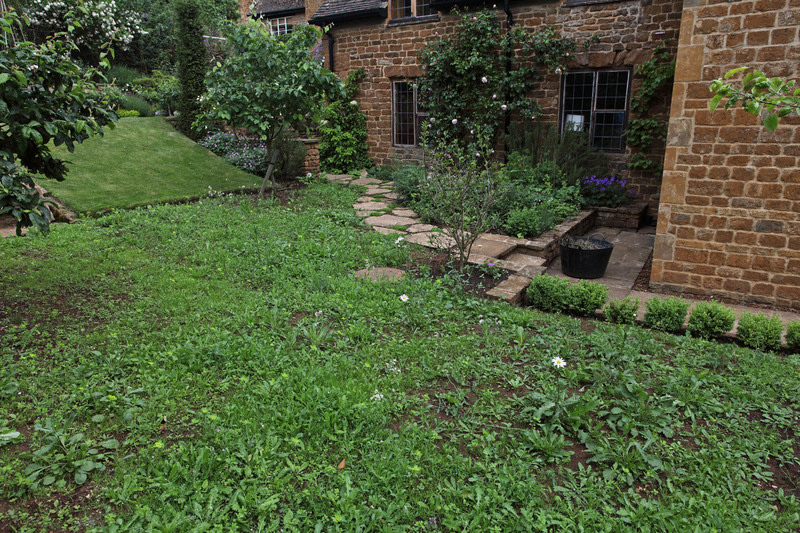 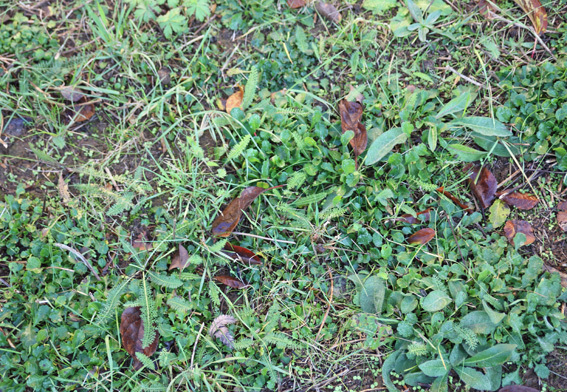 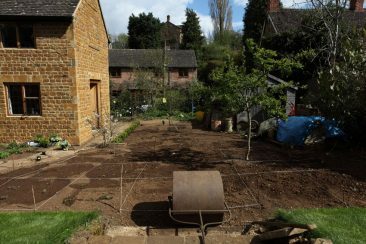 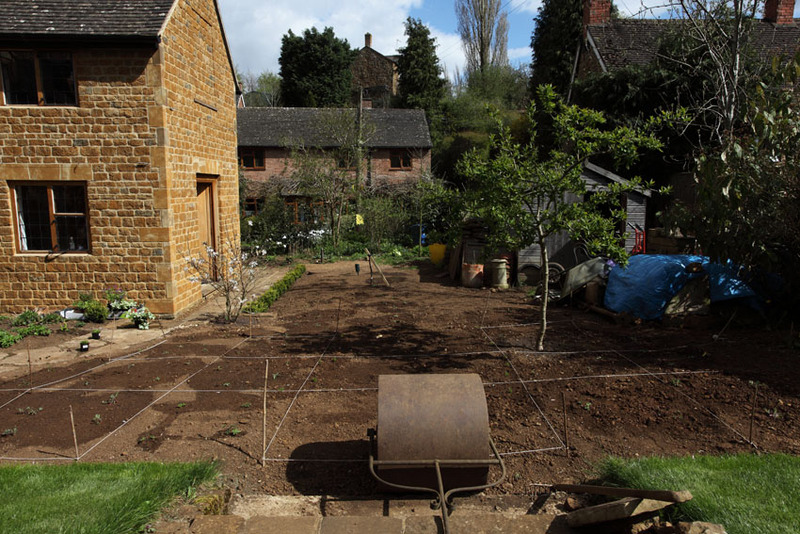 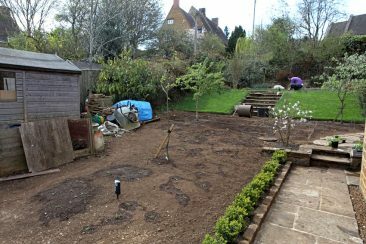 The ground was prepared by stripping off the grass and measuring up the plot into meter squares for ease of sowing. 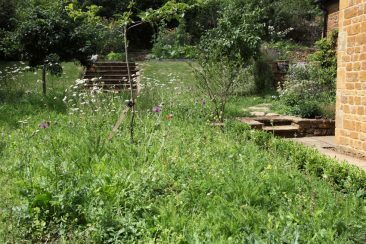 We planted a mix of perennial flowers and grasses suitable for clay soil using a combination of seed and plug plants for added insurance of success. 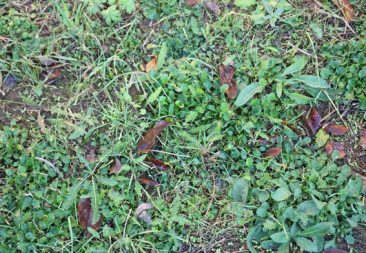 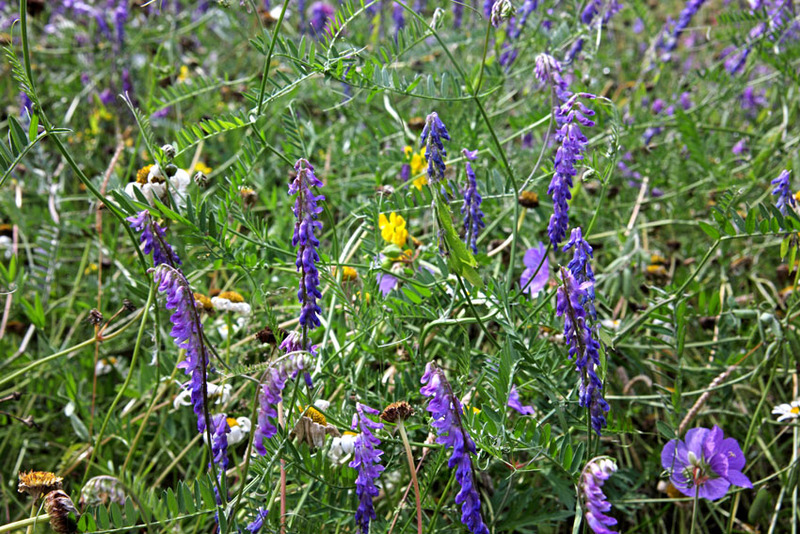 The mix was chosen to yield optimum pollen and nectar and included Yellow Rattle to help reduce the perennial grasses from dominating. The image gallery is a record of the project from preparing the ground and planting in May 2013 and activity through the seasons.